As a first-of-its-kind research project, HouseZero demonstrates how to transform a challenging building stock into a prototype for ultra-efficiency. As reported in by Julia Ingalls in her May 23 blog in Archinect.com, the Harvard Center for Green Buildings (CGBC) at the Harvard University Graduate School of Design, in collaboration with Snøhetta and Skanska Technology, are retrofitting CGBC’s headquarters in a pre-1940s timber-framed building to become one of the world’s most ambitious sustainable buildings. As a first-of-its-kind research project, HouseZero demonstrates how to transform a challenging building stock into a prototype for ultra-efficiency, rapidly reducing the level of reliance on energy-intensive technology while simultaneously creating comfortable indoor environments. 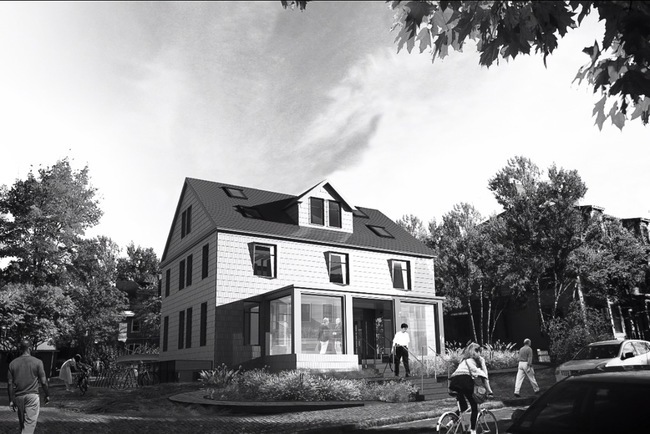 To realize this ambition, the design of HouseZero is driven by highly ambitious performance targets, including 100% natural ventilation, 100% daylight autonomy, almost zero energy required for heating and cooling, and zero carbon emissions, including embodied energy in materials. Once completed, the building will produce more energy over its lifetime than was used to renovate and operate it. Read more about the project here and check out a detailed graphic that explains all the technologies used to get to zero.